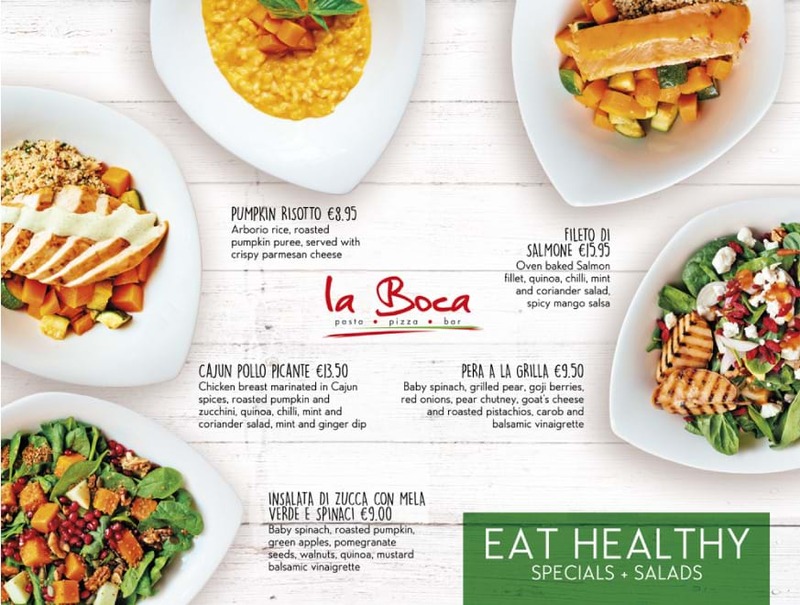 As the new year begins, so do the new diets and at La Boca we are here to kickstart your new healthy eating plan. The latest addition to our fresh, fast & fun restaurant La Boca at the Columbia Plaza, are our Healthy Specials. A selection of specially selected refreshingly fresh flavoured dishes to leave you feeling guilt free. Try our Pera ala Grilia salad, a salad mix of baby spinach, grilled pears, goji berries, goat’s cheese and roasted pistachios or there’s always our Salmon Di Fileto, oven baked and served with quinoa, pumpkin, courgettes and a mint and chilli sauce.. delicious! Perfect for a fresh, fast & fun lunch break. For more info follow us on Facebook or call 25 278020.